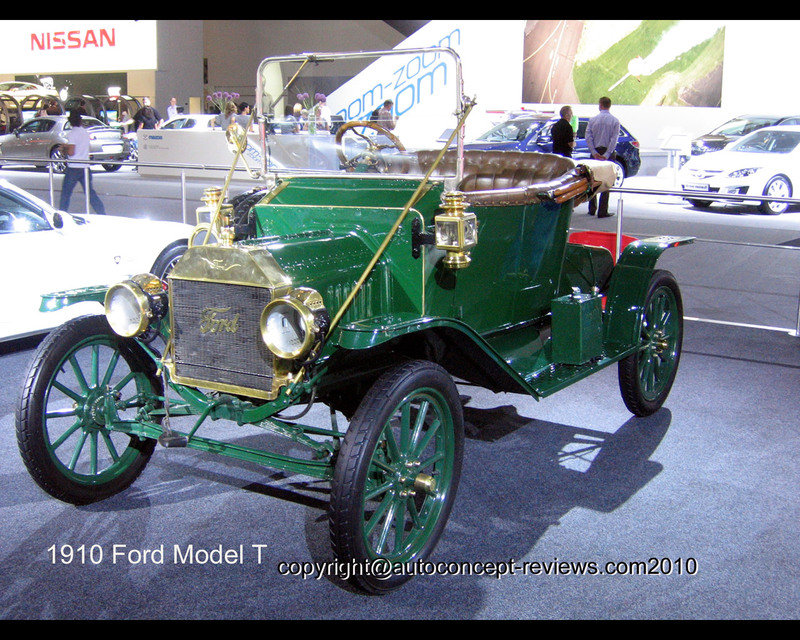 The Ford Model T was introduced on October 1st 1908. 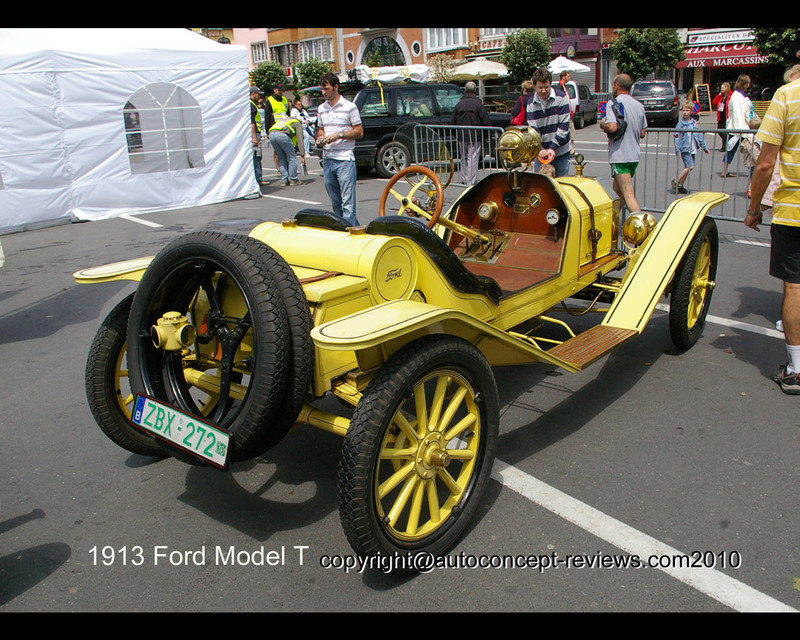 It had a 20 hp 2.900 cc four cylinder engine with side-valves. The transmission was two-speed plus reverse. Brakes were fitted only to the rear wheels. Top speed was 42 mph (68 kph). 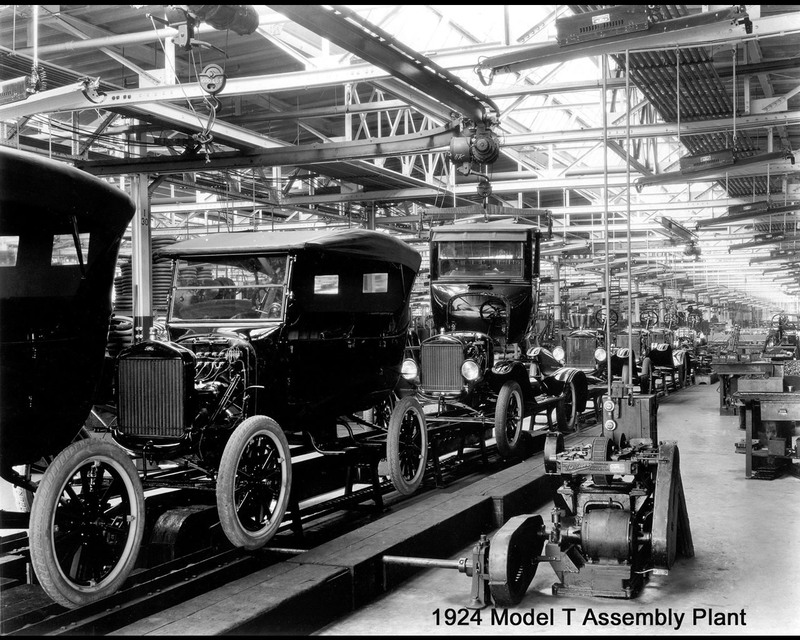 All in all, more than 16 million Model Ts were made, more than 15 million of them in Detroit alone, before production ended in May 26th 1927. 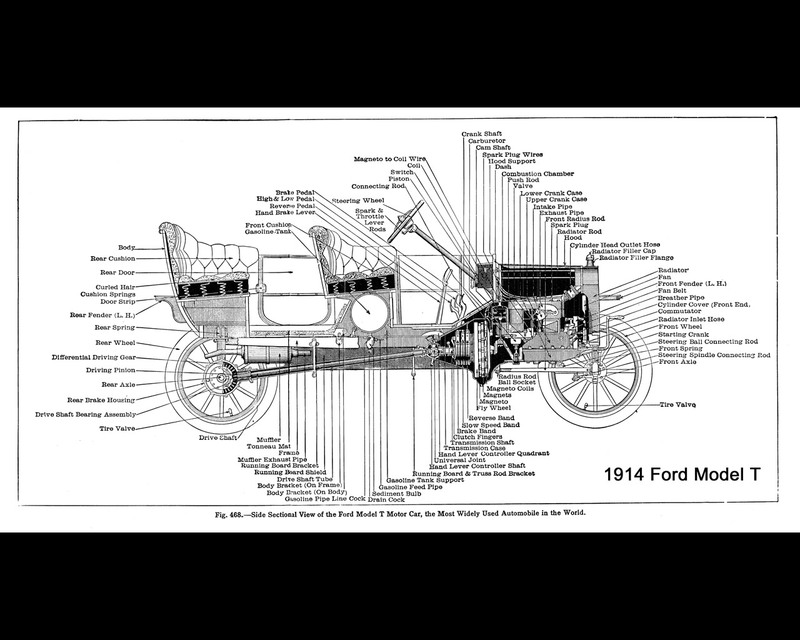 The Ford Model T was also assembled at several overseas plants. 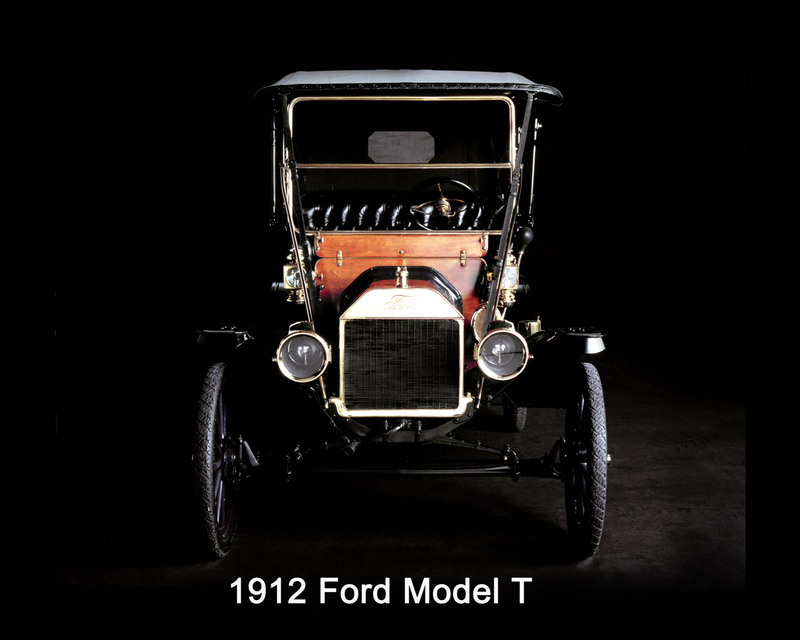 Simply engineered and sold at incredibly low prices, the Ford Model T put the world on wheels. The car was introduced with a price tag of 850 $. 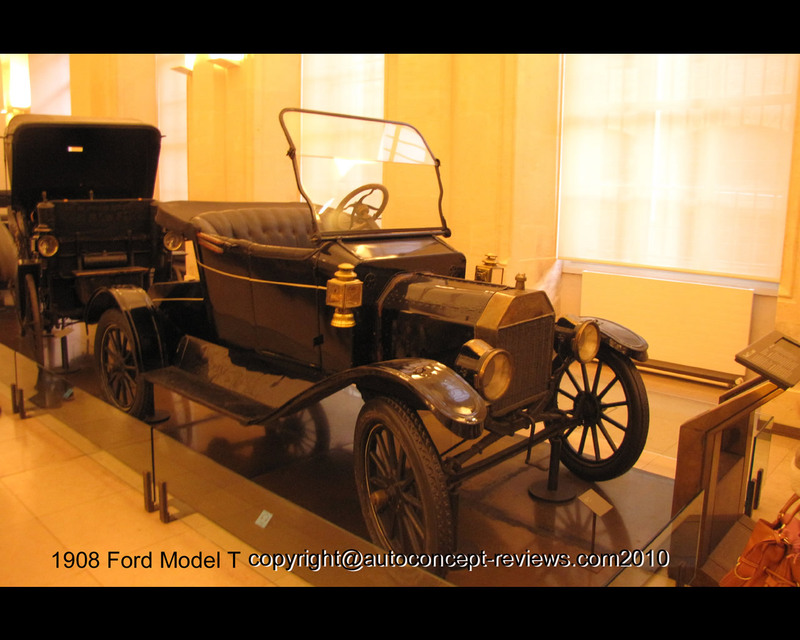 The Ford Model T later sold for as little as 260 $, without extras, because of production savings Henry Ford passed on to customers. 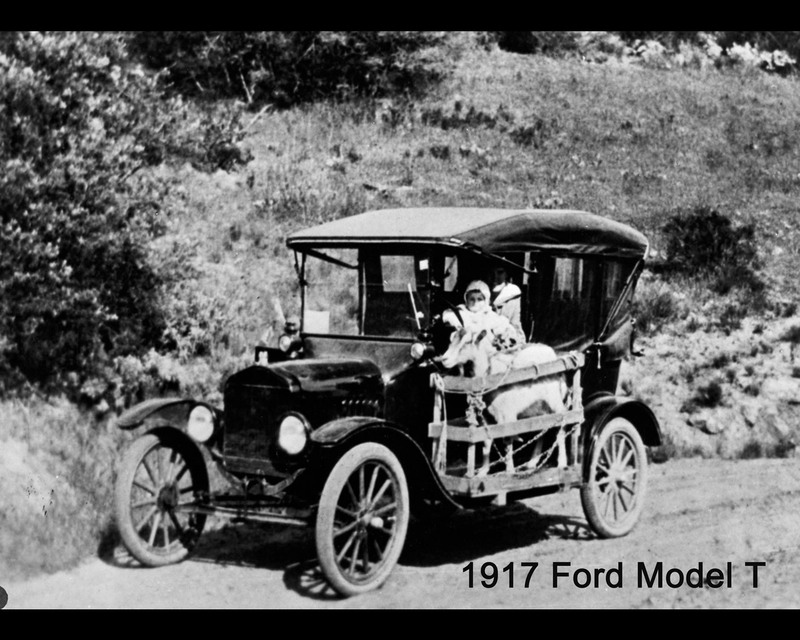 Henry Ford initiation of mass production of vehicles on the moving assembly line led to lower car prices. 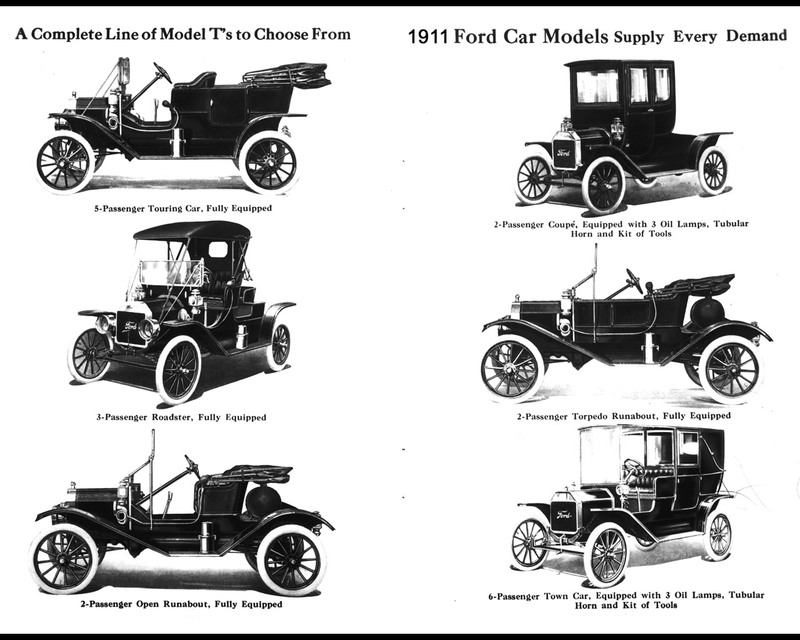 The Ford Model T came in nine body styles, all on the same chassis, with transverse leaf-spring suspension to the beam axles. 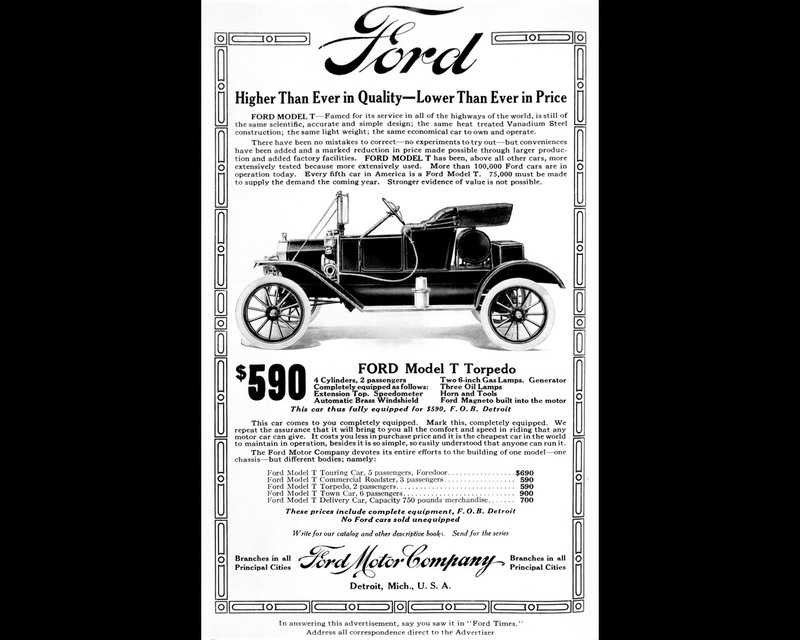 The mass production process perfected the moving assembly line, creating and defining the industrial age and enabling Ford to steadily decrease the price of the Model T.
The Model T is responsible for establishing a minimum wage and the eight-hour work day. 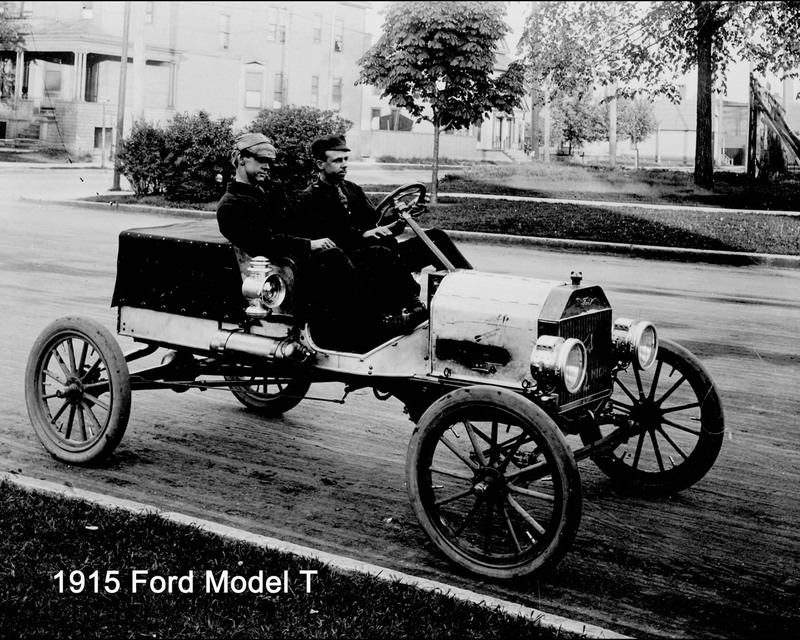 The 5$ a day minimum wage brought the best workers to the Ford factories and is often cited as having helped establish the middle-class. The factory work also gave jobs to people who usually could not find work such as immigrants, women, minorities and people with disabilities. 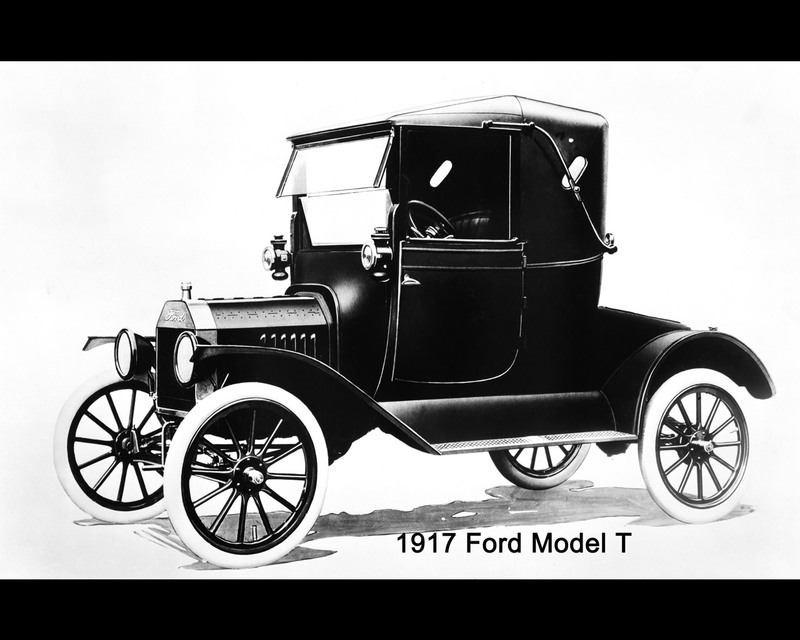 The myth that the Ford Model T came in any color as long as it is black probably comes from the reality that almost 12 million of the 15 million over total Model Ts were black. 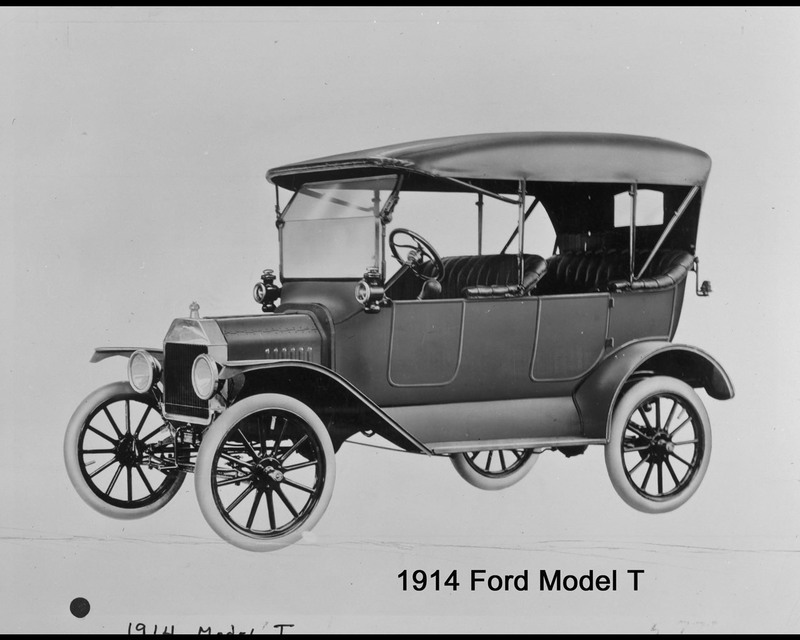 But, in the early and late years of the Model T production, the car was produced in many different colors, including blue, red, green and grey. Oddly, many of these colors were so dark that they were hardly discernable from black, another reason the myth lives on. 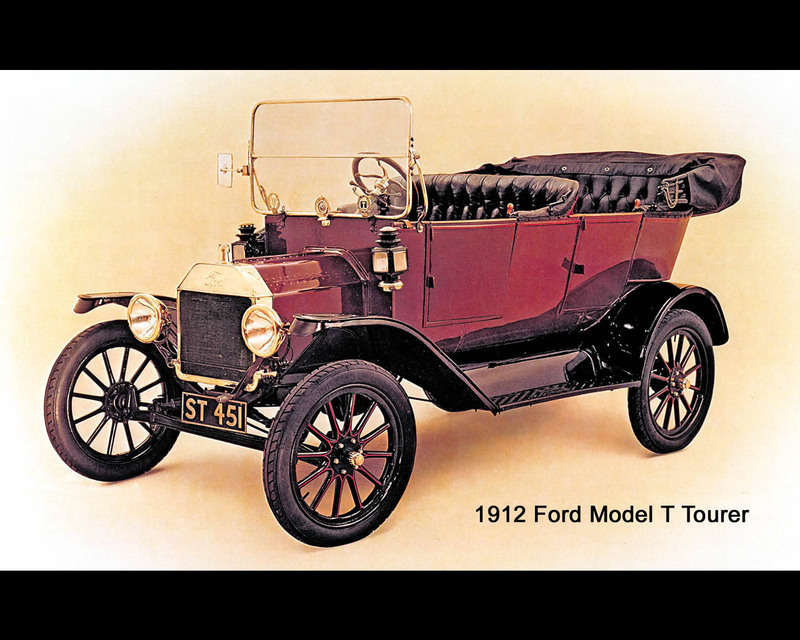 The Ford Model T stands out as the industry's truly first global car. 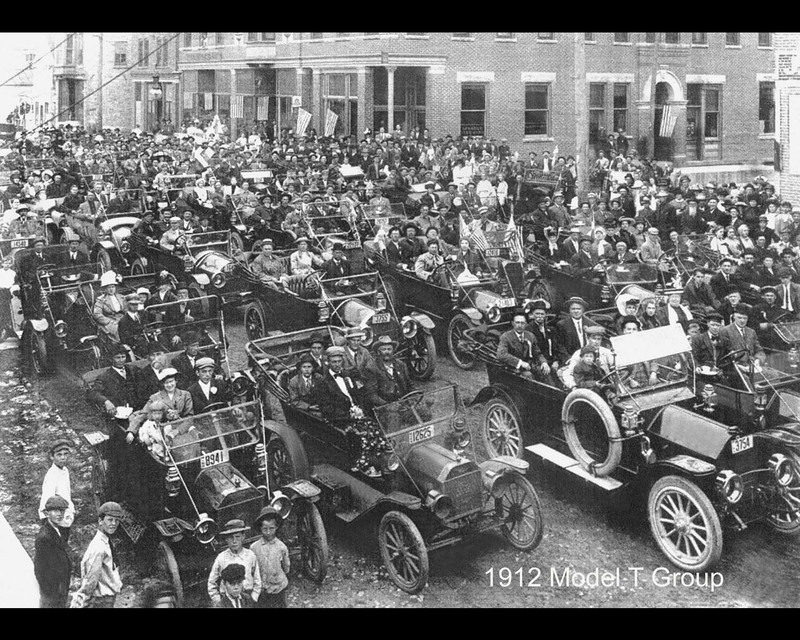 By 1921, it accounted for almost 57 percent of the world's automobile production. It also was manufactured in several countries and had dealerships in six continents. 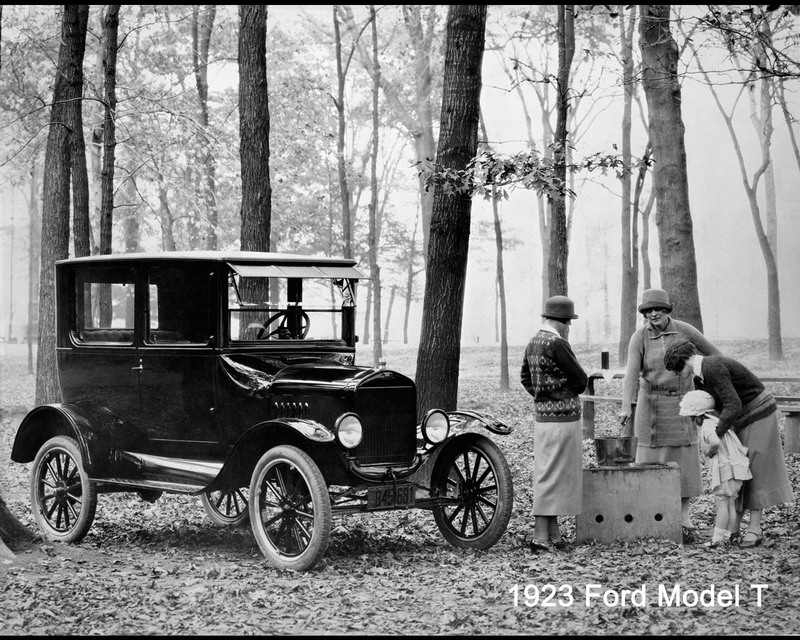 Paul Damiens - Photos illustrations - Damiens & Ford Motor Co.